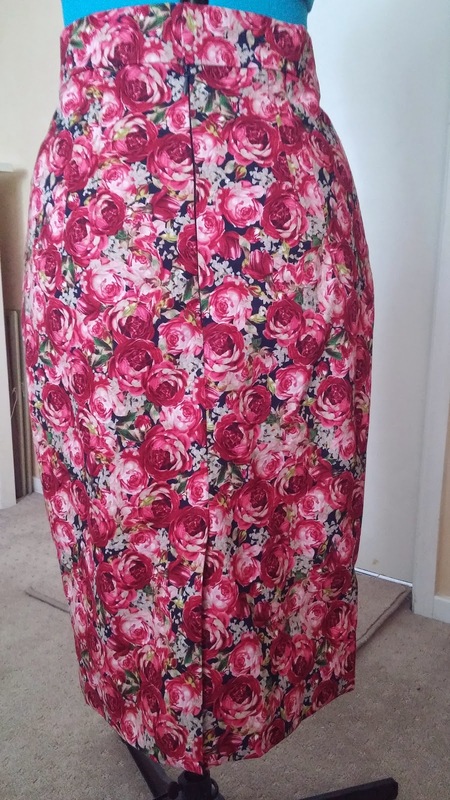 I have wanted a rose printed pencil skirt for ages so even though this is just a simple make it has little details that made it a pleasure to sew and is now lovely to wear. 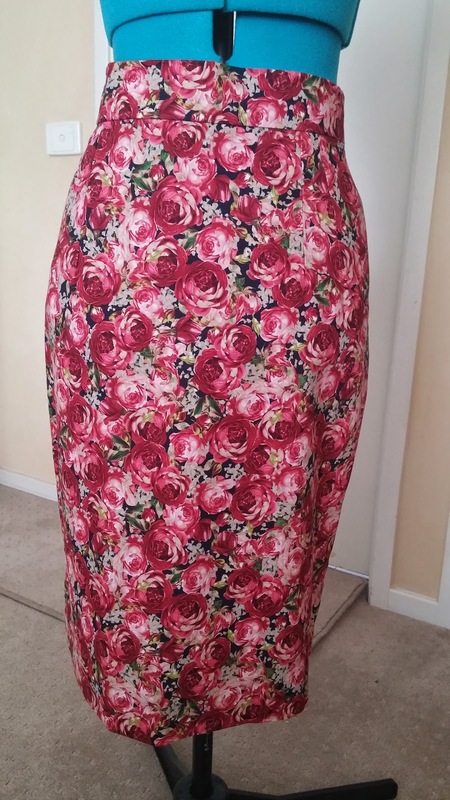 I used the Gertie pencil skirt pattern from her first book . Its a double darted pattern that gives a nice line, although I peg it slightly more than the pattern, and add a back vent. 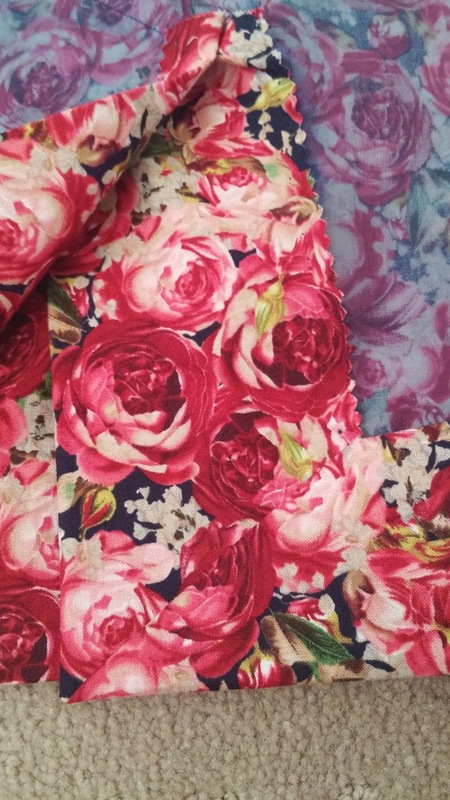 I used a quilting cotton from Spotlight which was the only rose print I could find but used the organza underlining trick to elevate the fabric into something much nicer. The organza underlining works so well with pencil skirts, and really does prevent any wrinkles that may develop in a cotton fabric. 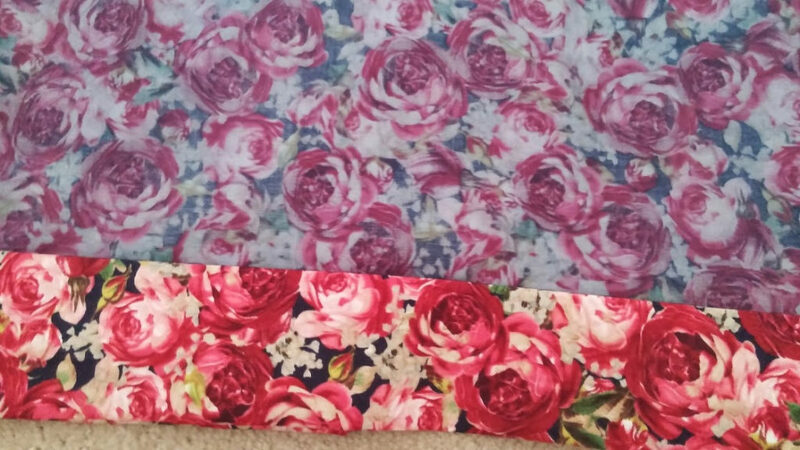 I used organza in the waistband as well some fusible interfacing from my favourite place. I mitred the corners of the vent which gives such a lovely bulk free finish on the inside. I love the tutorials from Lena, because you can be confident they are correct, this is the tutorial I used for the hem vent. 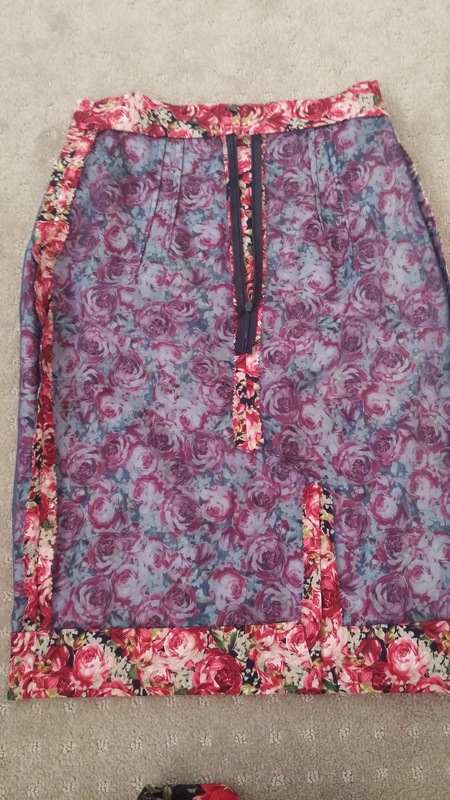 The side seams are just pinked. The hem is double turned and hand stitched to the organza only. Finally, I worked out that the best way to peg a knee length or below knee length skirt so that it does not develop a tulip shape (which can happen if you peg it in alot or have a strong pear shape, a good example of this unintentional tulip shape is my tartan skirt here) is to draw a line perpendicular to the hem (at a 90 degree angle, or close to a 90 degree angle, to the hem) until just above your knee and then tapering from that point up to your hip curve. The way I have done it in the past is mark the point on the hem I want the skirt width to be, and then draw a line straight up to the hip point, which is the way I have seen most tutorials do it. 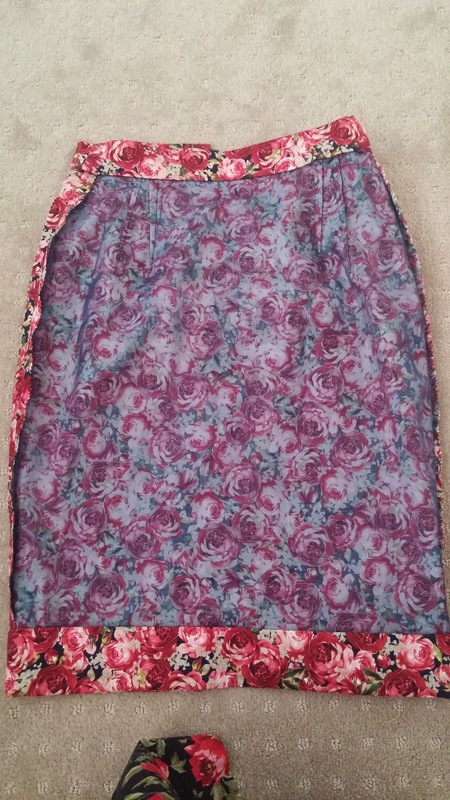 This works fine if you are only tapering the side seams slightly, but if you want/need to bring it in a few inches it can look more tulip than pencil I think. If you make the start of the line perpendicular to the hem for a couple of inches until you get just above the top of the knee cap and then taper to the hip, it gives a much more RTW look.